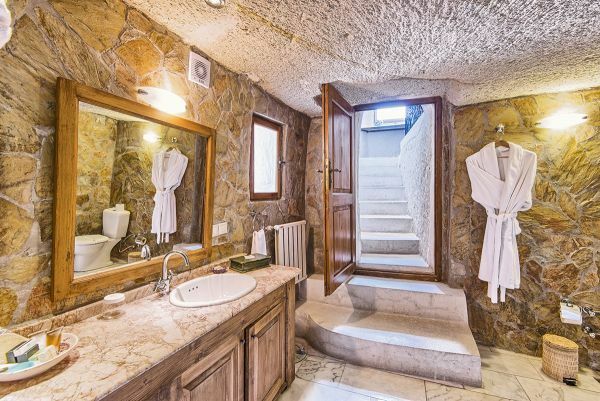 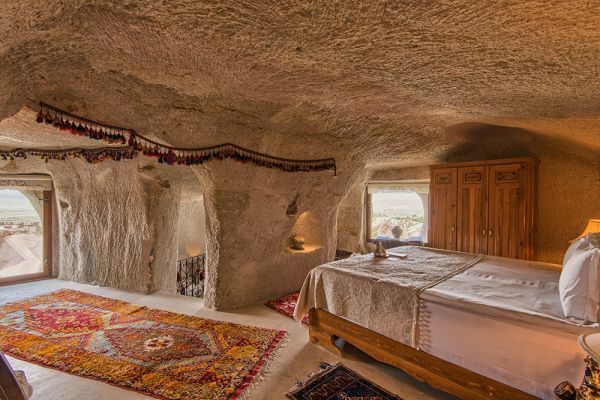 The local people have always referred to the town of Uçhisar as ‘Ucasar,’ and so we gave the name to this room. 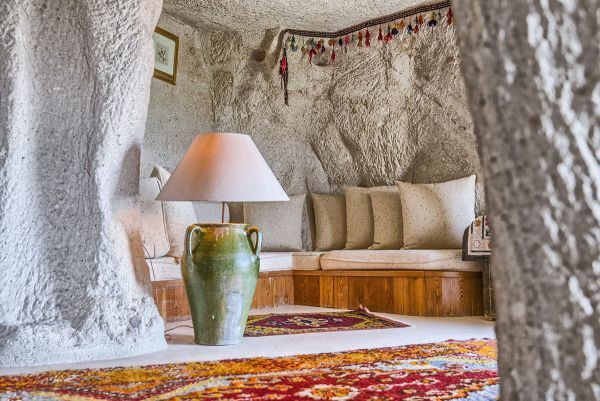 The double story was originally used as a duplex house by the owner: the upper floor was used as living space, while the ground floor was used as a storage area for grapes and other types of food. 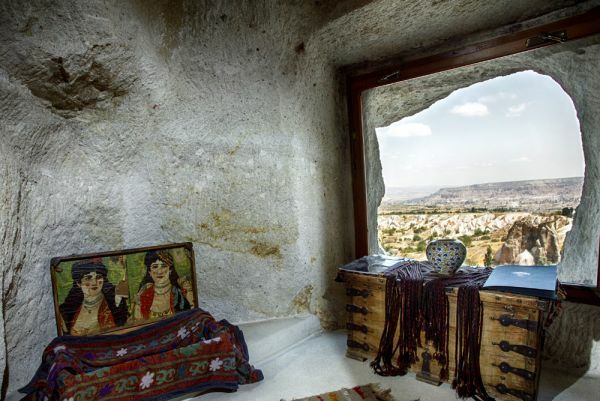 Nothing was altered during the renovation, so as you experience the breathtaking view of Cappadocia from this room decorated with priceless antiques, you will feel part of the history of the room.